I love patty pans and Dave loves baby marrows so when I saw a pack of mixed marrows at Woolworths I bought it, hoping to satisfy both of our taste buds. These were turned into a lovely mixed marrow pasta sauce, perfect for Tandy Tuesday. Woolworths and I are going to get reacquainted as soon as I hit South African soil. 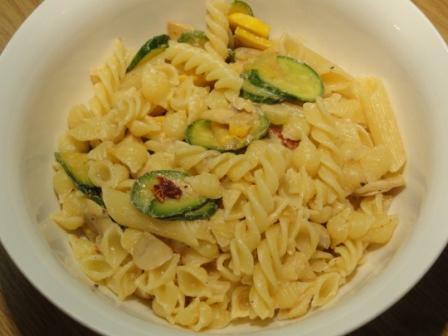 Great sounding pasta Tandy – you could use it for Meatless Monday too.